Kiran Kumar Neelapu Assistant Professor, Department of Radiology, Nimra Institute of Medical Sciences, Nimra Nagar, Ibrahimpatnam, Jupudi, Vijayawada, krishna District, Andhra Pradesh. 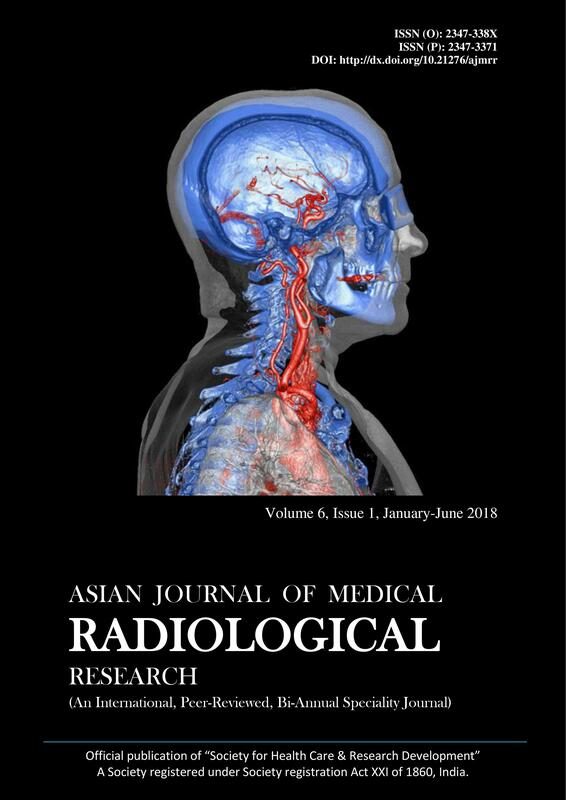 Background: Thyroid nodule is a common clinical problem and the incidence of thyroid nodules has increased with the recently increasing use of thyroid ultrasonography in India. Subjects and Methods: The study included total 186 cases among which 184 were females and 02 were males. Patients with diagnosed thyroid nodules of more than 1 cm and who underwent ultrasonography were included.Results: From all nodules, 22.65%) were single and 76.34% were multiple nodules; 60 nodules (32.25%) were solid and 126 (67.74%) cystic. Concerning echogenicity, 44 nodules (23.65%) were Hypo-echo and 35 nodules (18.8%) Hyper-echo. 179 nodules (96.23%) had a regular edge. 65 nodules (34.9%) had without Halo. 140 nodules (75.2%) were larger than 15mm. According to histopathology results, the benign nodules were 88.7% and malignant cases were 11.3%.Conclusion: Based on the result of this study, thyroid nodule size must not be considered as a criterion for malignancy and thyroid nodules of any size must be suspected as malignant. Important criteria for malignancy include irregular edges, being Solid hypoechogenicity and being a single nodule respectively.